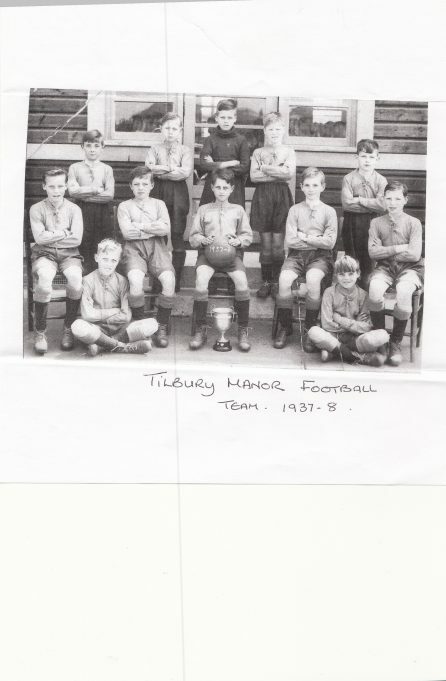 This photo was given to the Tilbury and Chadwell memories website and it would be great if you could names some of the players for us!! According to Dennis Taylor, this team was the runner-up in the Grays District Junior Football Teams league. They lost the last match 3 – 2 because he let in a soft goal, so they finished second in the league. He still has the medal awarded to the players. Other team members were Buddy Goyett, Ernie Merchant, Styles, Brown and Thompson. I think the goalkeeper is Dennis Taylor, who would have been ten in 1937. I will ask him if he can identify the other players.